The Super-Easy Chocolate Cake combined with 100 percent fruit spread (a non-sugar-sweetened jam) and dipped in a vegan-friendly dark chocolate makes the perfect vegan cake ball. Make sure to use chocolate made with soy lecithin—or no lecithin at all—and, of course, no dairy products. Ghirardelli and Callebaut semisweet chocolates are vegan and perfect for this recipe. These cake balls are so moist that they are the perfect candidate for a dry coating, such as shaved chocolate. I have presented the recipe to you with half the batch dipped in melted chocolate and half rolled in chocolate shavings—two looks in one recipe with no extra ingredients. (I dusted dipped balls in cocoa for the picture). 1. Combine the cake and about 1 cup of the fruit spread. Test by compressing and add as much of the remaining fruit spread as the cake will hold. 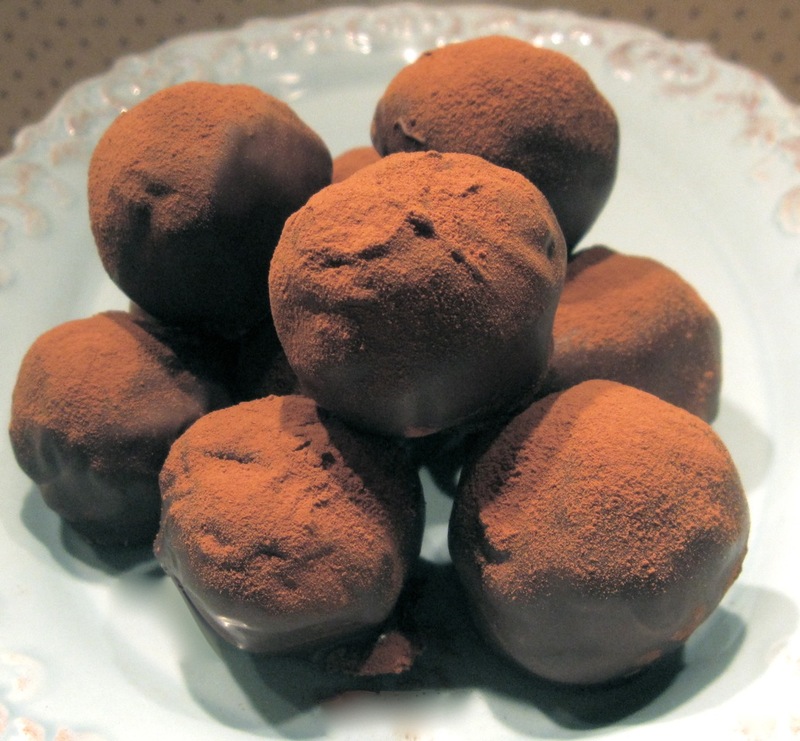 Roll into golf ball–size cake balls. Refrigerate until firm. This can be done 1 day ahead; store in an airtight container once they are firm.